Whilst 2017 saw some great results for the town, much of 2018 has been about groundwork , the fruits from which we expect to see in 2019. One of the most exciting projects being Youth Talk. Over 500 young members of the community were interviewed over the summer in school and on the street by personnel appointed by City of Edinburgh Council’s Lifelong Learning Services to establish feedback on Queensferry, Dalmeny & Kirkliston facilities for youths. In addition the Youth Talk event held on 14th Sep, well attended by local adults, facility organisers and youths from the High School gave us lots of constructive information. Our Youth Engagement team are working with CEC’s LLS team to turn this data into deliverable outcomes. Communication between youths and the community has clearly been identified at the top of the list for development. Our desire is to engage the young community in helping to shape developments within the area and build a true sense of ownership of the town and villages. Other projects include the long pressed for Queensferry High St refurbishment, with three stages of public consultations held this year and proposals expected to be presented to the community in Jan 2019. The ongoing issues relating to traffic flow displaced by the opening of the Queensferry Crossing and unsafe crossings in the town are still in discussion. The results from the CEC traffic study conducted by local firm, Arup, are currently being interpreted. We have started constructive discussions with CEC and Transport Scotland to seek delivered solutions. A report on the cruise liner visits’ impact on the town and the experience for visitors, residents, businesses and organisers was compiled and presented to CEC as early as June after the initial few liner visits of the season. A number of recommendations, both long and short term, were given by QDCC but disappointingly none were adopted over the remainder of the season despite our requests. We have, however, been given an assurance that changes will be made prior to the 2019 liner season. We continue to develop Visit Queensferry, supported by a few local businesses, to promote the beauty of the town to the world. This enables us to share some of the fantastic photographs of the town and its offer far and wide through various traveller forums. Starting with five proposals which came forward, after due diligence and process by QDCC the investment for the Ferrymuir Community Facility was awarded to Queensferry Care for their expanded day services and a new respite centre for over 60's. QCCC are now working on raising the additional £1.1m capital required for this project. Some of the local businesses have formed a Business Association to make representation of their ongoing interests. These are just some of the key points from this year. If you believe you can help bring about positive change for the area then please come along to one of our monthly meetings and speak to us. You can put as much time and effort in as you wish, the drive really comes from within each of us to achieve results for the area. Things very rarely ever change through social media comment, phone call, email or even a chat with whomever. It more often than not takes tenacity and resilience, building a case, negotiating, adapting and following through to conclusion. initiated talks and enagement with various stakeholders on the management of the cruise liner visits. 'We' meaning everyone in the community who took the time to give anecdotal feedback, make complaint to Stagecoach putting them under pressure, eventually withdrawing allowing us to make a case to Lothian Buses; everyone who reported to police on youth activity when we had issues; those who gave feedback and attended the public meeting about the QC opening event; everyone who submitted comments to CEC on the QHS build consultation and then we at QDCC took all that information, channeled it and did something constructive with it as a team. Social media plays an important role in collating information, making contacts and two way communication with the community. However the face to face discussions both within QDCC and with the relevant executives making the decisions are the real result drivers. We have many issues yet to tackle fully in Queensferry and many of us are spinning many plates at any one time. So if you would like to get involved, to what ever degree you wish, then come along to our monthly QDCC meetings and have a listen. No pressure, no obligation, just listen and if you want to contribute to the discussion about local issues then on you go. Traffic management, speeding safety issues, parking limitations (which is now biting us - the veil of secrecy around the QC light show being a very recent and disappointing example), dangerous crossing points, further housing developments, basic council services failures, High St refurbishment, youth engagement development, ...are just a few of the near issues on the table at the moment. The 2015 QDCC newsletter is now available through the link below. In 2008, following the decision of the Scottish Government to end tolling on the Forth Road Bridge, the toll plaza area at South Queensferry had to be remodelled to create a standard sliproad junction. QDCC consulted residents on the future of the plaza and made representations to FETA that resulted in the toll canopy being demolished as part of the remodelling works. QDCC also liaised with the Forth Road authority during the works to communicate details of closures and restrictions to the local community. 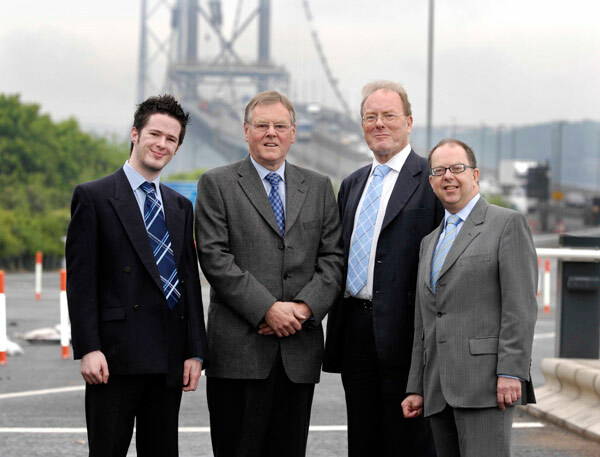 QDCC worked with Transport Scotland during the Forth Crossing Bill process to seek to capitalize on increased visitor numbers to the area during the construction of the Forth Replacement Crossing. After much discussion and consultation, Transport Scotland decided to build a permanent building to host the Contact & Education Centre for the construction of the new bridge. 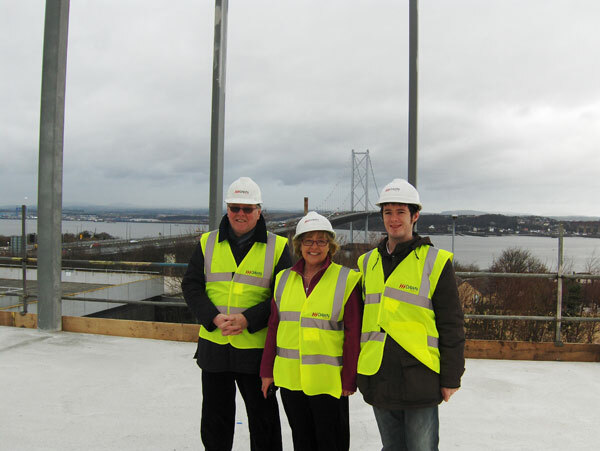 The building will be used for community liaison and educational visits during the construction period of the new bridge, offering a legacy potential to create a high quality Forth Bridges visitor centre after the bridge opens in 2016. The building will also become the new home of Traffic Scotland, the national trunk road operating agency. Originally the Contact & Education Centre was to be a temporary building of re-locatable units within the south construction compound.